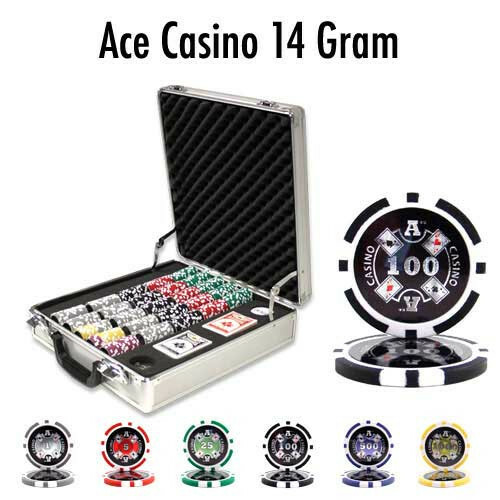 This 500pc Ace Casino poker chip set includes a custom Claysmith aluminum storage case that has removable trays that can be used to keep your chips organized at the table. Do you want the standard set shown, or do you want to change the number and colors of the various chips? Tell us what chips you want. They must be ordered in multiples of 25 each color/denomination and must total up to the total count in the set. The picture above should show the options available. Subject to availability. 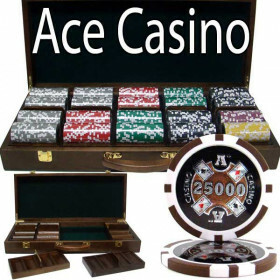 500 Ace Casino poker chips, 2 decks of playing cards and a dealer button. 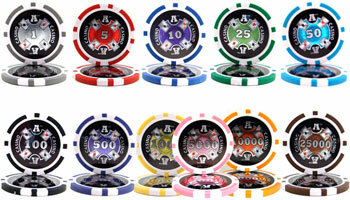 The Ace Casino poker chips are one of our more popular models. 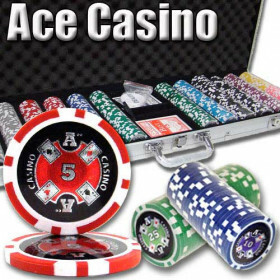 These chips are made from casino quality clay composite materials and weigh in at a hefty 14 grams. The chips look and feel great. 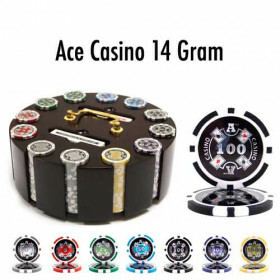 They feature a sparkling laser graphic inlay that depicts the four aces around the center, with the denomination front and center. The denomination does not include the dollar sign ($), so these chips could be used for either dollar or penny denominations, if that is what you are looking for. 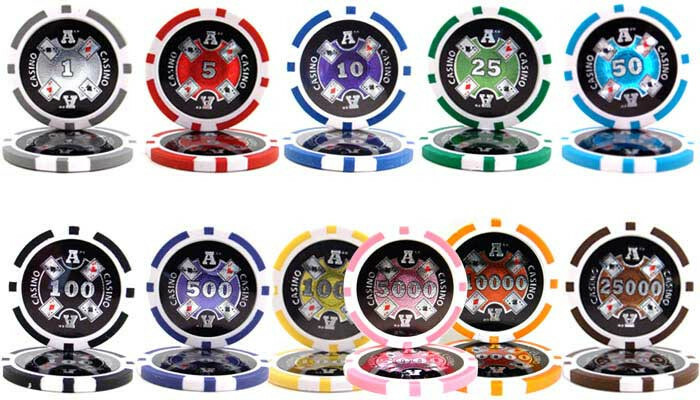 These chips are made of a high quality clay composite material that gives the look and feel of real casino chips at a very affordable price. 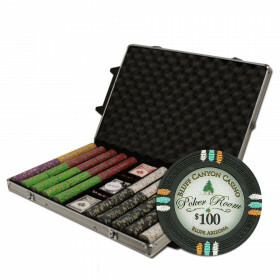 These heavy weight 14 gram chips are the perfect set to finish off your home casino in style. 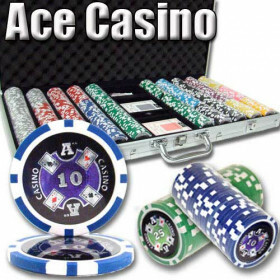 Add the Excitement of a Vegas Casino to Your Home Poker Game Today! 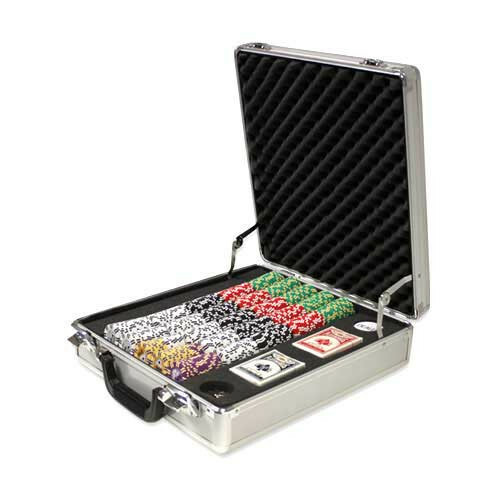 Step up to the ultimate 500pc poker chip case with this Claysmith Gaming aluminum case. 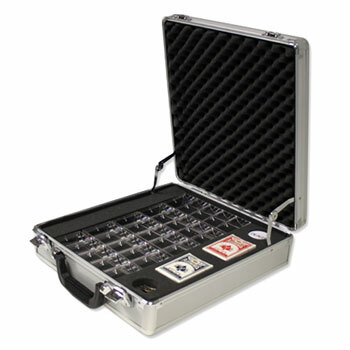 Unlike the standard cases you get with 500pc sets, this case is built to take it. 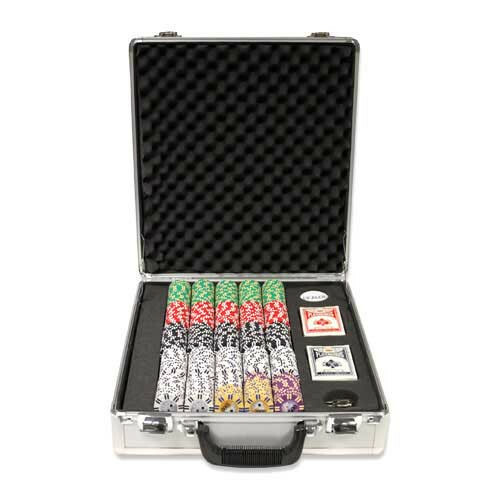 This custom designed case includes reinforced corners, extra thick hasps and rubber handle to ensure your chips' safety while providing comfort while you carry it. The aluminum plates are made out of thicker material and provide an extraordinary amount of rigidity and an overall feeling of high quality. 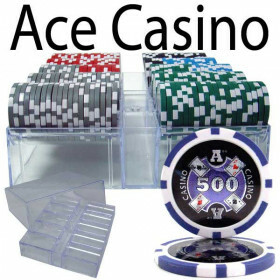 It also includes 5 removable acrylic chip trays that hold 100 chips each. 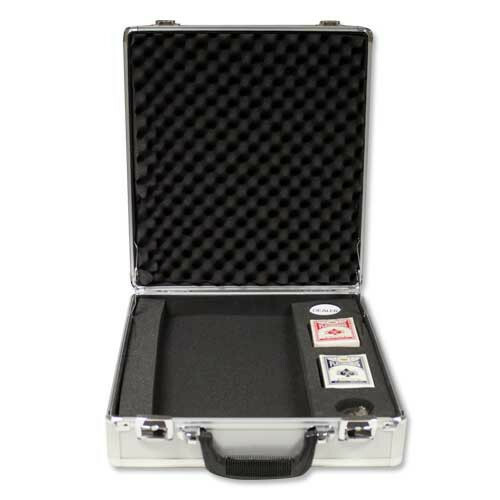 The case measures 16 x 15 x 4.5 on the outside.